The title says it all. 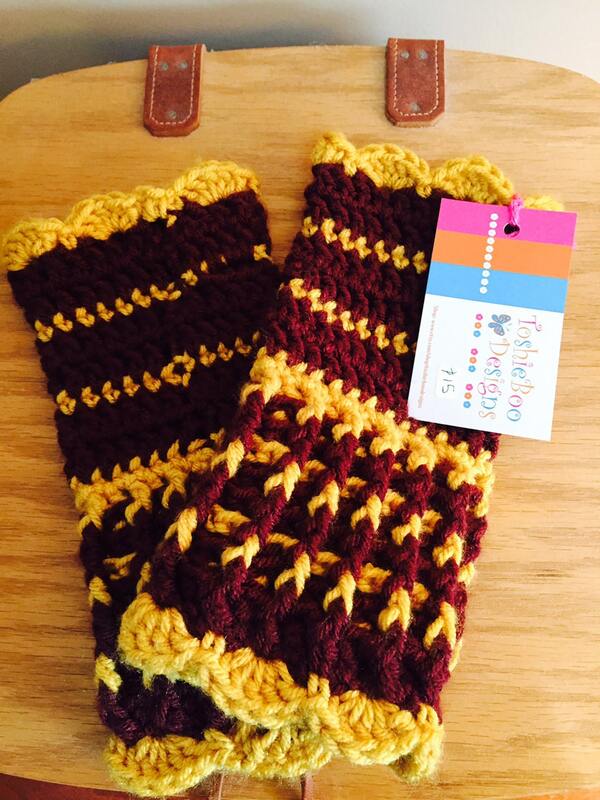 Using soft variegated yarns with gold and burgundy, using a special stitch, these crocheted fingerless mittens are snuggly and cozy. A matching pair of fingerless mittens is also available and listed. If you would like to purchase them both, convo me and I will ship them in the same package saving you one of the shipping fees.